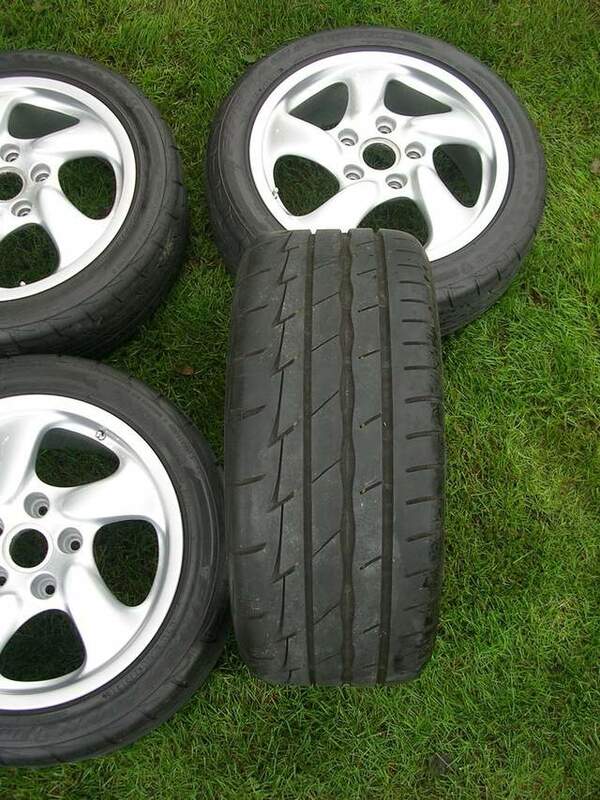 Does your car need a new set of sticky HiPo street tires, and you dread the idea of hassling with all that new tire mounting and balancing stuff? 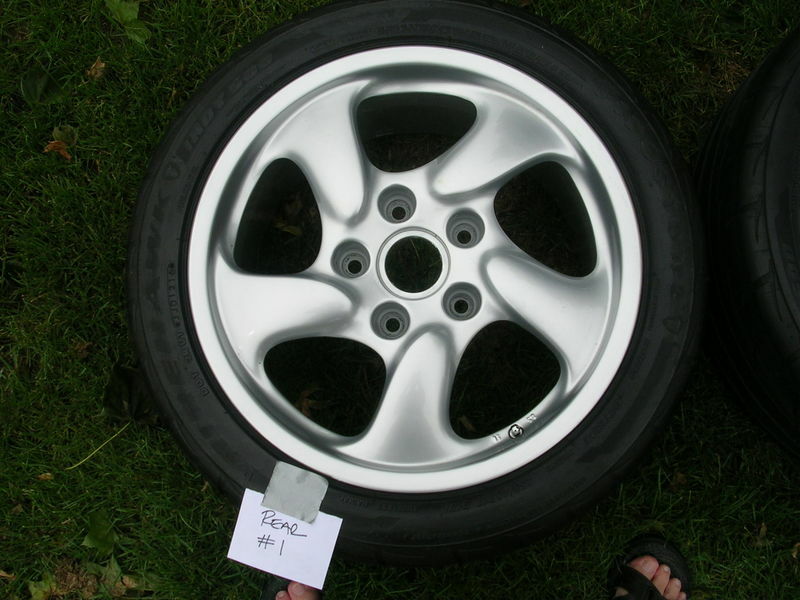 If you own a base 986, are you interested to upgrade your wheels to the “S” style? 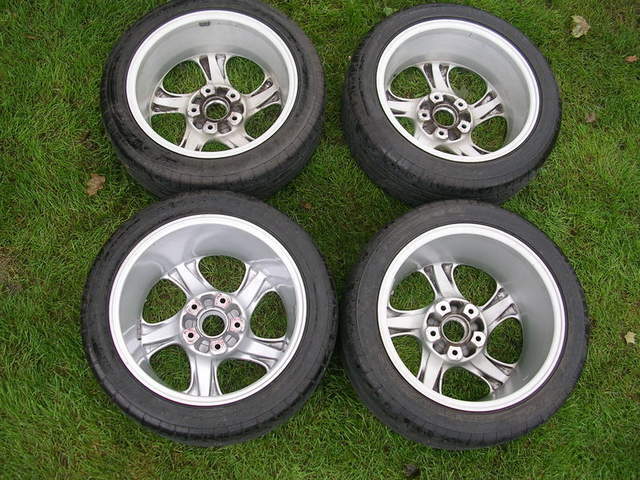 For Sale is a full set of four 17 inch OEM “S” wheels from my personal car, fitted with a set of almost new (less than 1000 daily driver street-only miles) highly rated Firestone Firehawk Indy 500 tires. 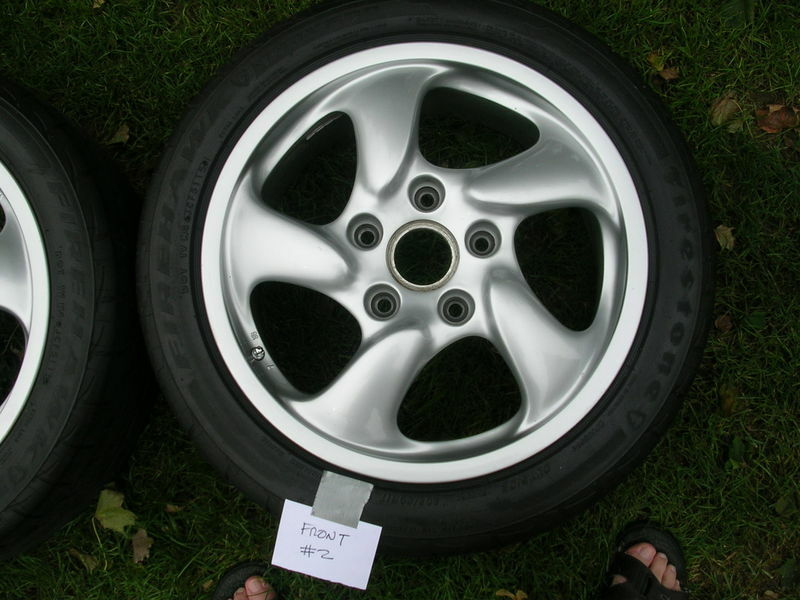 These wheels and tires are (obviously) already mounted and balanced and are all ready to simply bolt on to your car. The balance is very smooth – no weird wobbles or vibrations at speeds well above the legal speed limit ( … ahem). I even fitted fancy low profile chrome valve stems which look really nice. No center caps included. Discussion about these Firestone tires can be found here: http://986forum.com/forums/performance-technical-chat/62941-firestone-firehawk-indy-500-a.html I liked these 17 inchers so well that I bought an 18 inch set of them to fit to my new 987 wheels. 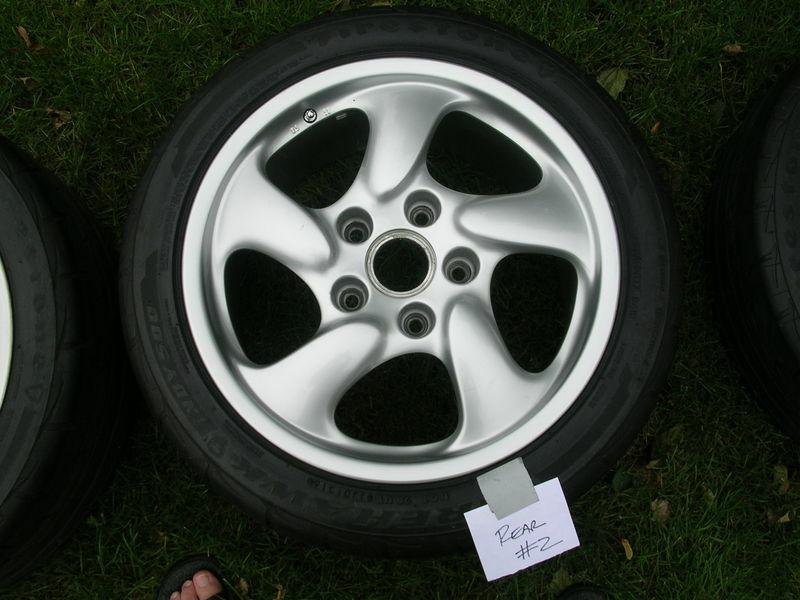 $500.00 USD for the full set as shown in the pics, which is basically the cost of just the tires alone. I am located in a suburb of Columbus, Ohio, and would certainly prefer a local pick-up if you are reasonably close to me. I am willing to consider shipping on your dime, but note that this would be a bit of a hassle for the both of us. These wheels / tires are pretty heavy (especially the wider rears), which would make the packing and transport costs relatively high for you. Any chance of delivery to Zanesville OH.... My sister lives there and I could pick them up there when I visit. I can PayPal in advance. Sure, I'd do that for the typical $0.50 / mile reimbursement. MapQuest shows at 75 miles to Zanesville from 43065. 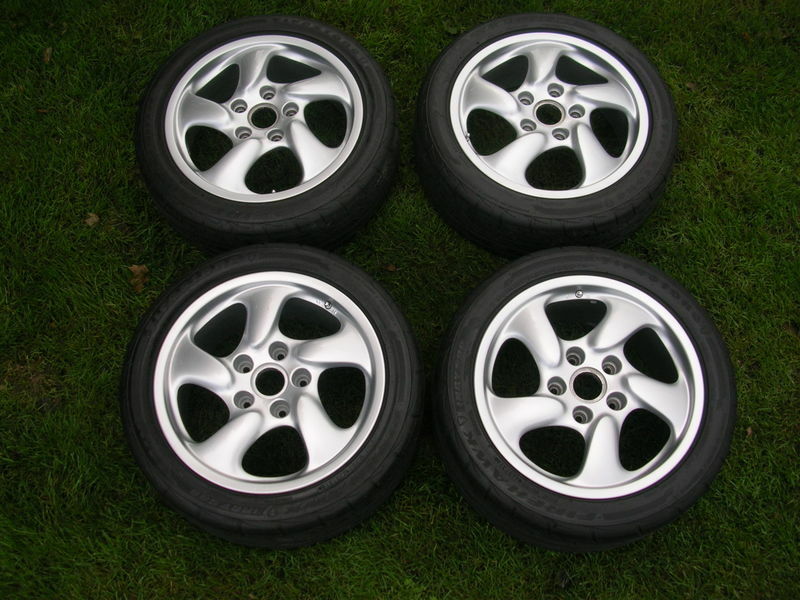 If still of interest (and these are nice wheels and tires - No disappointments!) send me a P.M.
Hi Dave. I have a 2002 Boxster. I need winter or all-season tires+rims. These are summer tires, correct? Last edited by 100percent; 09-16-2018 at 06:20 PM. Reason: Answered my own question. Yes, these Firestones are very good and highly reviewed summer tires. Individual pictures of each wheel, per PM request. As of this moment, still available. I'd really like to sell these before the snow flies. Please call me at 989-666-1216 to discuss. Thank you. Yes, as of this moment, I still have them! 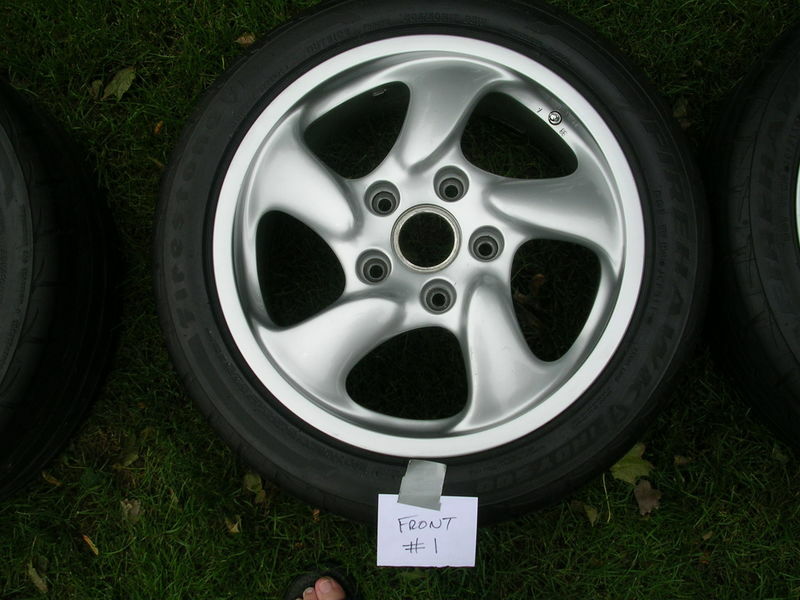 wheels for sale - PM sent.